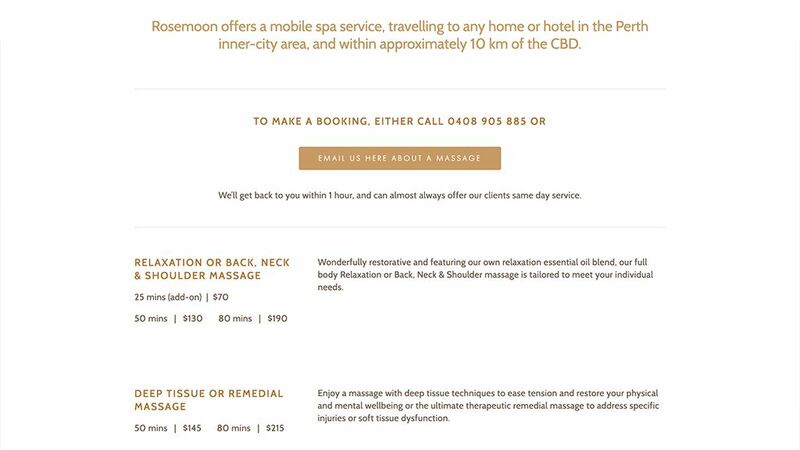 Rosemoon Spa provides a unique mobile spa and wellness experience primarily to hotels in the Perth CBD. 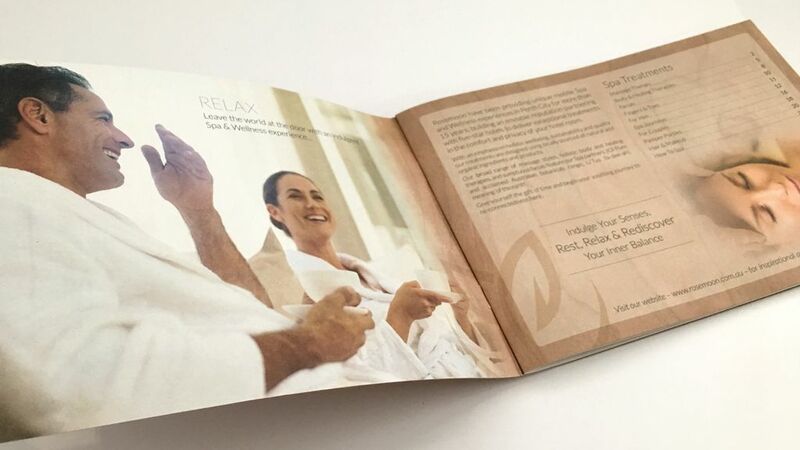 Over 15 years Rosemoon Spa had built an enviable reputation by partnering with well known five-star hotels, and with new owner Karen Fairweather taking over the business in 2016, a fresh approach to the brand identity and marketing was required. 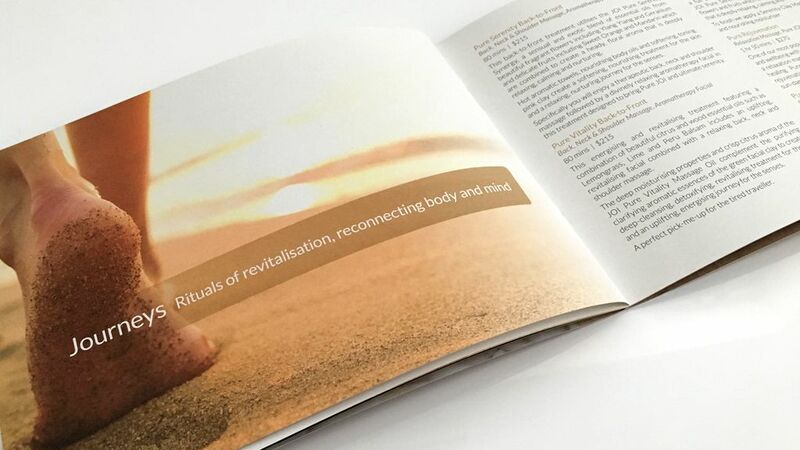 In line with Rosemoon Spa’s holistic wellbeing and sustainability ethos, Karen was keen to bring a simpler, earthier tone to the brand identity and marketing collateral. Working together with a new business owner, it was important to prioritise what needed immediate attention and what could be developed into a longer term strategy. 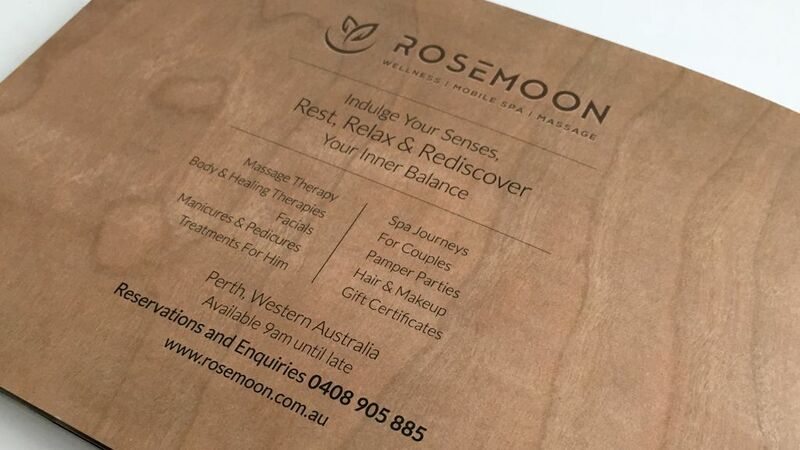 A complete re-brand wasn’t of highest priority, largely due to the existing brand awareness amongst Rosemoon Spa’s largest clients. The logo would be kept but treated in a simpler fashion, a natural colour palette was chosen, font selections made and typographic styles overhauled as part of the brand identity refresh. 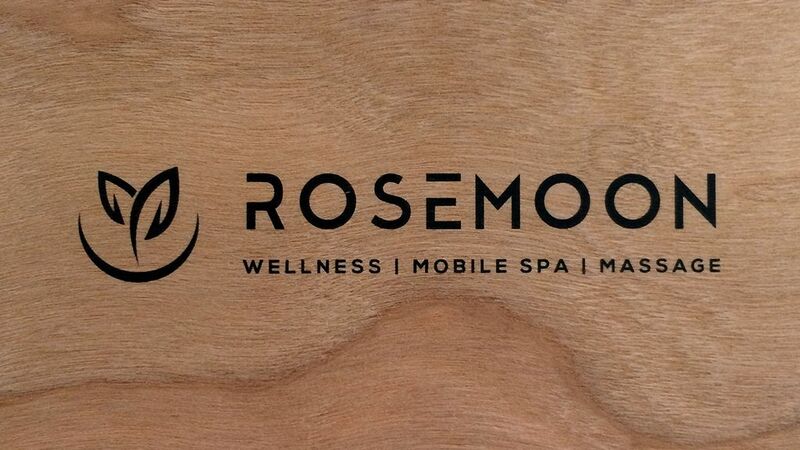 The Rosemoon Spa website was originally put together by Karen using Squarespace and required some immediate SEO attention. In collaboration with Abi White, we were able to implement a much more search engine optimised and user friendly website, styled in a way that would later complement the printed collateral. Since partnering with 32 Degrees in 2016 we have seen our online and print presence taken to another level. Laith is an immensely experienced professional with integrity and a great sense of practicality and common sense. I have gained a lot of confidence overall from this partnership and the professional relationship has also helped me immensely in my journey as a new small business owner. 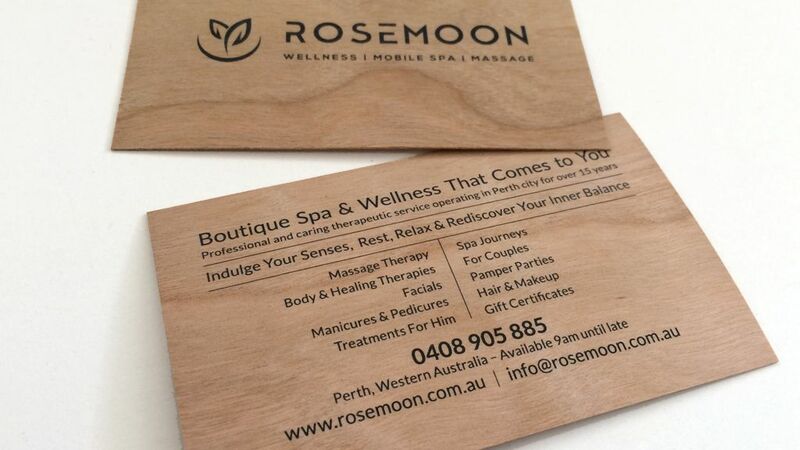 The business cards were printed onto a cherry wood ply stock. The wood itself is sourced exclusively from renewable forests and plantations, the manufacturing plant runs on at least 60% solar energy and uses no bleach, chemicals or water during production. The adhesives in the ply are biodegradable, free from formaldehyde and other toxic chemicals and are free from emissions. 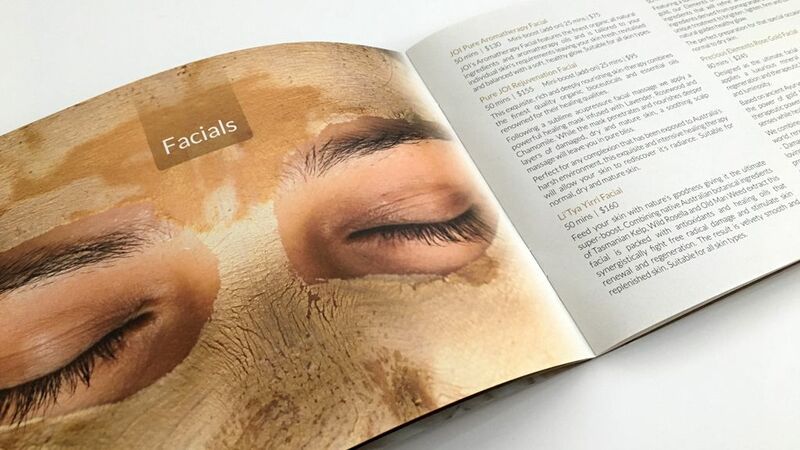 The 24 page Spa Treatment Menu covers the full list of Rosemoon Spa’s extensive treatments and is slightly tailored to each hotel. 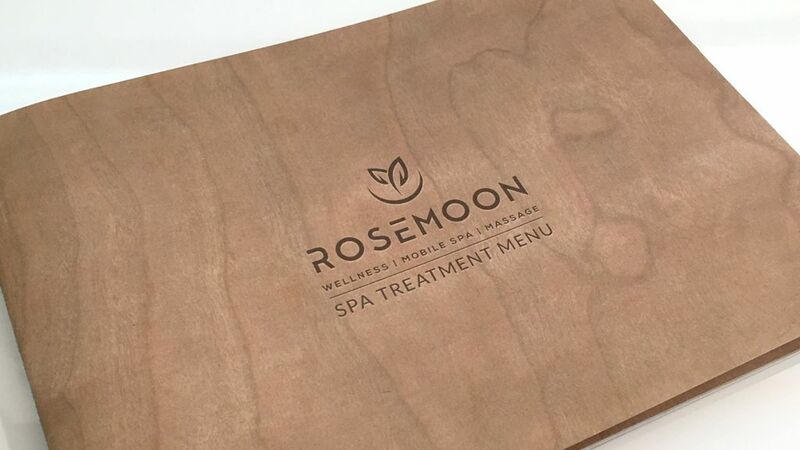 The cherry wood texture was carried through to the menu and was printed onto Lenza paper stock – 100% recycled from collected consumer waste and manufactured without chlorine bleaching. It was printed using vegetable based inks using an Anicolor Zoneless Inking technology providing a 90% reduction in waste. The Lenza paper stock (350gsm cover, 140gsm internal pages) is an off-white colour and has a very tactile feel which only adds to the overall effect. I have absolutely loved what we have achieved together, and constantly get compliments on our website and print materials. This is value for money, excellent quality, professional graphic design support. Thanks so much! !